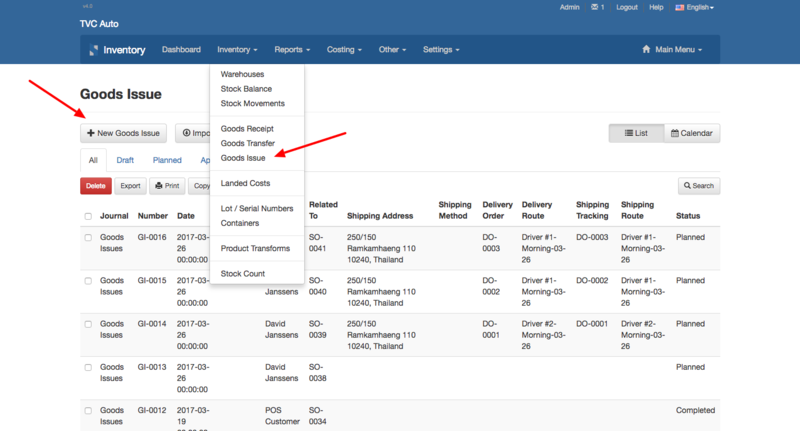 To receive products in stock, go to the "Inventory" menu, then click "Goods Issue" and "New Goods Issue". After clicking the "Confirm" button, the status of the goods issue will change from "Draft" to "Planned". This means that the goods issue is planned but not yet completed. 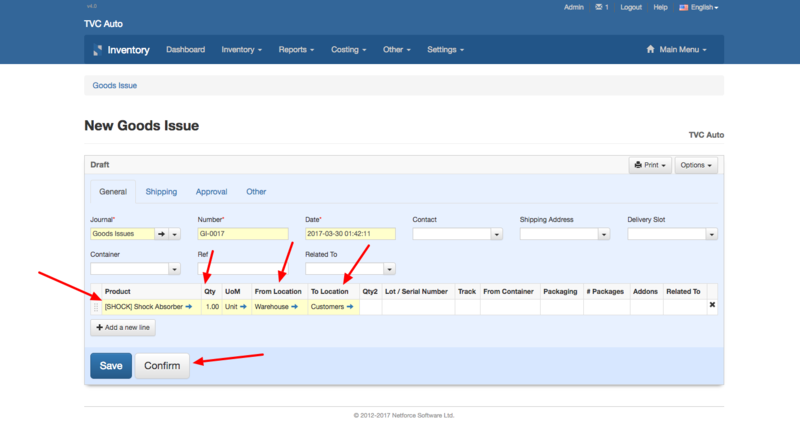 The next step is to click the "Approve" button, which is used to authorize the retrieval of the products from stock. By clicking this button, the status of the goods issue will change from "Planned" to "Approved". The last step is to click the "Validate" button, which indicates that products are physically removed from stock and will change the status from "Planned" to "Completed".